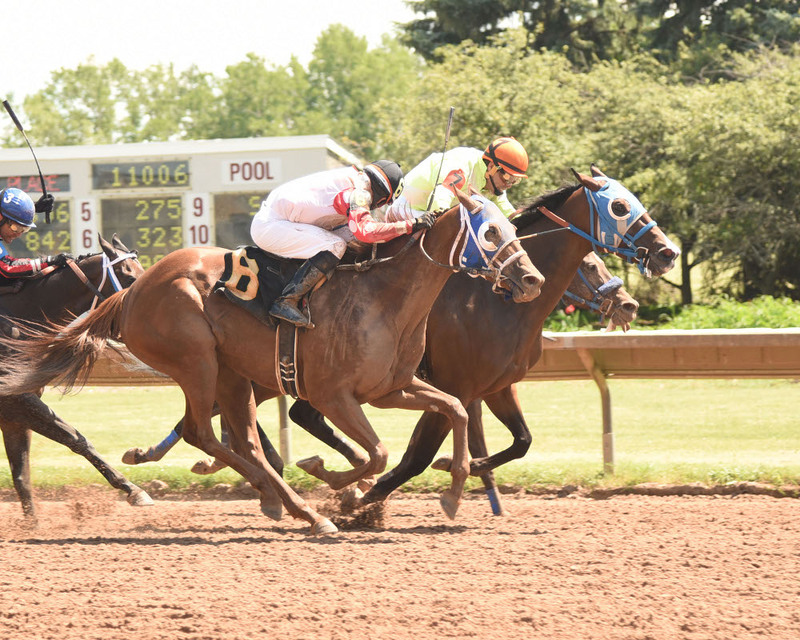 FARMINGTON, N.Y. –Atlantic’s Smile held off a late challenge by Cinematize to earn a narrow victory in the $50,000 Arctic Queen Stakes on Friday at Finger Lakes Gaming & Racetrack. She scored the nose victory in a final six furlong time of 1:11.52. The 5-year-old mare owned by Francis Paolangeli set the early pace of the dash for New York-bred older fillies and mares. She was able to withstand the late pressure from her rivals to notch the fourth race triumph. The Charlton Baker-trainee was guided to her fifth career victory by John Davila, Jr. She improved her lifetime earnings to a sum of $290,223 and paid $3.40, $2.20 and $2.10. Cinematize was second at odds of 26-1 and returned $13.40 and $7.40. Smitten by Gold finished third and paid $2.70.